“Bridgeport” redirects here. For other uses, see Bridgeport (disambiguation). Nickname(s): The Park City, The Port, B-Port, BPT, "Philly & Boston's Midpoint"
Bridgeport is the most populous city in the U.S. state of Connecticut. Located in Fairfield County on the Pequonnock River and Long Island Sound, the city had an estimated population of 144,229 at the 2010 United States Census and is the core of the Greater Bridgeport area. Black Rock is a neighborhood in the southwestern section of the city of Bridgeport, Connecticut. It was part of the Town of Fairfield before the State of Connecticut granted the land to Bridgeport. It borders Fairfield and the Ash Creek tidal estuary on the west, the West Side/West End of Bridgeport on the north and east, and Black Rock Harbor and Long Island Sound on the south. The city is part of the Greater New York City Combined Statistical Area. It is the fifth-largest city in New England (behind Boston, Worcester, Providence and Springfield). Bridgeport is the center of the 48th-largest urban area in the United States, just behind Hartford (47th). Most of Bridgeport was originally a part of the township of Stratford. English colonists began settling along the Pequonnock River after 1639, quickly buying land from the Paugussett tribe or otherwise divesting them of it. The settlement became a center of trade, shipbuilding, and whaling. In the mid-19th century, the village rapidly industrialized, attracting immigrants to the growing number of factory jobs. Industry stayed strong until after World War II. Industrial restructuring and suburbanization caused the loss of many jobs and affluent residents, leaving Bridgeport struggling with problems of poverty. In the 21st century, conversion of office buildings to residential, and other redevelopment is attracting new residents. The circus-promoter and former mayor, P.T. Barnum, was a famous resident of the city. Barnum built three houses there, and housed his circus in town during winters. The first Subway restaurant opened in the North End section of the city in 1965. The Frisbie Pie Company was located here, and Bridgeport is credited as the birthplace of the Frisbee. The first English settlement on the west bank of the mouth of the Pequonnock River was made somewhere between 1639 and 1665 and was called Pequonnock, after the name of the Native American people, a sub-tribe of the Paugussett, who had historically occupied this area. One of their sacred sites was Golden Hill, the center of springs and planting fields, now within downtown Bridgeport. The village was renamed Newfield sometime before 1777. More people settled further inland and to the West and the area officially became known as Stratfield in 1701, likely due to its location between the already existing towns of Stratford and Fairfield. During the American Revolution, Bridgeport and its harbor were a center of privateering. In 1800, Newfield village was chartered as the borough of Bridgeport, and in 1821 the township of Bridgeport, including more of Stratfield, was incorporated. Bridgeport was chartered as a city in 1836. Bridgeport's early years were marked by residents' reliance on fishing and farming, similar to the society of the Native American Paugassett. They had cultivated corn, beans and squash, and fished from both the river and sound. The city's location on the deep Newfield Harbor fostered a boom in shipbuilding and whaling in the mid-19th century, especially after the opening of a railroad to the city in 1840. The city rapidly industrialized in the late 19th century, when it became a manufacturing center. It produced such goods as the famous Bridgeport milling machine, brass fittings, carriages, sewing machines, brassieres, saddles, and ammunition. Bridgeport annexed the village of Black Rock and its busy harbor in 1870. On Saturday, March 10, 1860, Abraham Lincoln spoke in the city's Washington Hall, an auditorium at the old Bridgeport City Hall (now McLevy Hall), at the corner of State and Broad streets. The largest room in the city was packed, and a crowd formed outside as well. Lincoln received a standing ovation before taking the 9:07 p.m. train that night back to Manhattan. A plaque marks the site where Lincoln spoke; later that year, he was elected president. Other notables who have given speeches in Bridgeport include the Rev. Martin Luther King, Jr., who spoke three times at the Klein Auditorium during the 1960s; President George W. Bush spoke before a small group of Connecticut business people and officials at the Playhouse on the Green in 2006; and President Barack Obama spoke at the Harbor Yard arena in 2010 to gain support for the campaign of Democratic Governor Dan Malloy. Industrialization was underway by the mid-19th century. Famous factories included Wheeler & Wilson, which produced sewing machines and exported them throughout the world, and the Locomobile Company of America, builder of one of the premier automobiles in the early years of the century. In the summer of 1915, amid increased labor demand as men were drafted for World War I, workers in Bridgeport called a series of strikes demanding the eight-hour day. They were so successful that the strikes and the eight-hour day spread throughout the Northeast. By 1930, Bridgeport was a thriving industrial center with more than 500 factories. Since the late 19th century, its industrial jobs had attracted the most recent immigrants: Irish, Italians and Eastern Europeans. The build-up to World War II further helped its industries. Columbia Records' primary pressing plant was located in Bridgeport. It manufactured the Columbia OKeh (after 1926), as well as their dime-store labels (Harmony, Velvet Tone, Diva and Clarion). Restructuring of heavy industry starting after the mid-20th century caused the loss of thousands of jobs and residents. Like other urban centers in Connecticut, Bridgeport suffered during the deindustrialization of the United States in the 1970s and 1980s. Continued development of new suburban housing attracted middle and upper-class residents, leaving the city with a higher proportion of poor. The city suffered from overall mismanagement, for which several city officials were convicted, contributing to the economic and social decline. In September 1978, Bridgeport teachers went on a 19-day strike due to deadlocked contract negotiations. A court order, as well as a state law that made strikes by public workers illegal in Connecticut, resulted in 274 teachers being arrested and jailed. Like other northeastern cities suffering from the effects of post-World War II industrial decline, Bridgeport made numerous efforts at revitalization. In one proposal Las Vegas developer Steve Wynn was to build a large casino, but that project failed to be implemented. In 1991, the city filed for bankruptcy protection but was declared solvent by a federal court. In the early 21st century, Bridgeport has taken steps toward redevelopment of its downtown and other neighborhoods. In 2004, artists' lofts were developed in the former Read's Department Store on Broad Street. Several other rental conversions have been completed, including the 117-unit Citytrust bank building on Main Street. The recession has halted, at least temporarily, two major mixed-use projects including a $1 billion waterfront development at Steel Point, but other redevelopment projects have proceeded, such as the condominium conversion project in Bijou Square. In 2009, the City Council approved a new master plan for development, designed both to promote redevelopment in selected areas and to protect existing residential neighborhoods. In 2010, the Bridgeport Housing Authority and a local health center announced plans to build a $20 million medical and housing complex at Albion Street, making use of federal stimulus funds and designed to replace some of the housing lost with the demolition of Father Panik Village. EMS is provide by American Medical Response of Connecticut, Inc - Fairfield County Operations Division. Paramedic and EMT level ambulance service transport service are provided in conjunction with the Bridgeport Fire Department. Five law enforcement agencies serve Bridgeport: two are at the city level, one at the county level, and two at the state level. Bridgeport Police Department – the city's primary law enforcement agency, it deals with every-day things in the city from gang violence to petty theft. Bridgeport Park Police Department – a separate department from the Bridgeport police, this agency was formed to enforce law in Bridgeport's vast area of city parks. Fairfield County Marshal – Fairfield Judicial District – this agency is responsible for judicial process and most arrest warrants in the south eastern portion of Fairfield County that is adjacent to the borders of the Greater Bridgeport Regional Planning Agency. Connecticut State Police – maintains one of the twelve statewide troop barracks in Bridgeport. Responsible for highway patrol and assisting the Bridgeport Police Department and surrounding municipalities when needed. New York Metropolitan Transportation Authority Police – District #8 is responsible for the security of the New York Metropolitan Transportation Services. 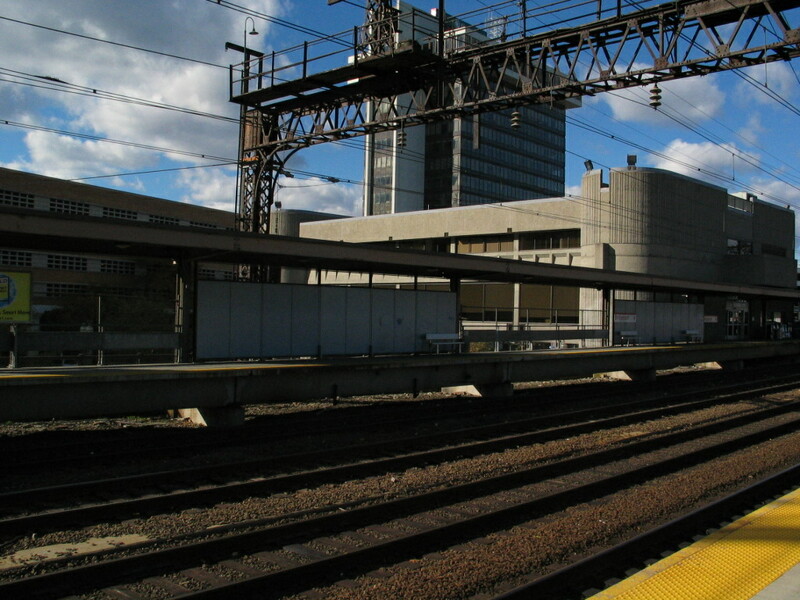 This agency is limited to downtown around the Bridgeport (Metro-North station). The community has two hospitals, Bridgeport Hospital and St. Vincent's Medical Center. The former Park City Hospital closed in 1993 and was reopened in 2010 as elderly and homeless housing units. Emergency medical services are provided by American Medical Response at the paramedic level. Located for many years at 525 Asylum Street, in 2008 Bridgeport Animal Control moved to 236 Evergreen Street. This location was the previous housing quarters for the Shoreline Star Greyhounds and once housed over 800 dogs. The animal control facility is the largest in the state of Connecticut, handling more than 1500 to 2000 animals yearly. The new facilities consist of three buildings: one for administration and two for animal holding. One serves for quarantine for the seven-day holding period, and the second is the adoption building. The new shelter can house up to 80 dogs and 25 cats. The largest breed of dog the shelter deals with is the pit bull. The BAC does not pick up cats or wildlife unless they are sick or injured. Bridgeport is located along Long Island Sound at the mouth of the Pequonnock River, named for the Native American tribe who historically lived along it. According to the United States Census Bureau, the city has a total area of 19.4 square miles (50 km2), of which 16.0 square miles (41 km2) is land and 3.4 square miles (8.8 km2), or 17.53%, is water. Bridgeport lies within the transition zone between a humid subtropical and a humid continental (Köppen Cfa/Dfa). The coastal location of Bridgeport on Long Island Sound result in Bridgeport being several degrees cooler in summer and milder with less snowfall in winter than locations further away from the coast. Bridgeport is a relatively sunny climate, averaging more than 2400 hours of sunshine annually. In summer, hot and often sultry tropical weather conditions can be typical, with high temperatures in the 80s and occasionally in the 90s F. Brief, but intense late day thunderstorms are common in the hottest months. Fall and spring months are cool to warm with high temperatures from 50 to 70 F. The winter months have daily high temperatures in the upper 30s F and overnight lows in the mid 20s F. Winters in Bridgeport are modest, with a mix of rain and snow, though in some years Bridgeport can receive heavy snow. The city receives 42.8 inches (1,090 mm) of precipitation and 30 inches (76 cm) of snowfall in an average year. With a period of record only dating back to 1948, Bridgeport's highest temperature is 103 °F (39 °C) on July 22 in 1957 and 2011, while the lowest temperature is −7 °F (−21.7 °C) on January 22, 1984. Several hurricanes have impacted Bridgeport, including one in 1938. The Bridgeport Harbor is bordered by Long Island Sound and is formed by the estuary of the Pequonnock River and Yellow Mill Pond, an inlet. Between the estuary and the pond is a peninsula, East Bridgeport, also known as the East Side, which was once the site of some of the largest manufacturing establishments in Connecticut, most of which no longer exist. On the other side of the Yellow Mill Pond inlet is the East End of Bridgeport, which is the far Eastern point of the city, next to Pleasure Beach Island. Above the East End are the Mill Hill and Boston Avenue neighborhoods and the border with Stratford, Connecticut. West of the Harbor and the Pequonnock River is the main portion of the city, with Downtown Bridgeport lining the river, the South End lining the harbor and Long Island Sound, the West Side between Fairfield, Connecticut and Downtown, and North Bridgeport extending from Downtown and the West Side to the border with Trumbull, Connecticut. Numerous factories, some of which are no longer in operation, line western sections the Metro North/New Haven Railroad line from the Bridgeport Station in Downtown, under Interstate 95 in the South End, and through the West Side and into Fairfield. The city is surrounded by hills in North Bridgeport/North End, the Upper East Side, and Mill Hill. The main portion of the city is divided into three major North/South roads that somewhat parallel each other. Main Street, the city's main artery, extending from the Trumbull town line, down through North Bridgeport, under Route 25 and into Downtown, ending at the Harbor Yard Arena in the South End. Park Avenue is the far western main road that is on the borderline with the town of Fairfield and extends from the Easton, Connecticut border in the North End to the South End at Seaside Park. Madison Avenue is situated parallel between Main Street and Park Avenue that extends from the Trumbull town line in the North End and continues through the West Side. East Main Street is the major North/South road through East Bridgeport, extending from the Trumbull/Stratford line though the East Side, ending near Steel Point. The major East/West roads in the city are Barnum Avenue, Boston Avenue, Fairfield Avenue/Stratford Avenue, North Avenue, Capitol Avenue, State Street, and Railroad Avenue. Barnum Avenue extends from the Stratford line, below Mill Hill, and ends at the Pequonnock River. Boston Avenue breaks off of Barnum Avenue at the Stratford line and goes Northwest through the Upper East Side into the North End. Stratford Avenue starts in the South End of the town of Stratford and travels Southwest into Bridgeport, where it briefly becomes Connecticut Avenue in the city's East End. It then travels East through Steel Point directly into the center of Downtown Bridgeport, where it turns into Fairfield Avenue at Main Street. Fairfield Avenue then travels South and then Southwest through the West Side and down into Black Rock, where it turns into the Boston Post Road, or simply, the Post Road, in Fairfield, Connecticut. North Avenue begins at Boston Avenue in the Upper East Side above the Pequonnock River and extends Southwest diagonally through the city as Route 1. It then turns into Kings Highway in Fairfield. Capitol Avenue begins by breaking off of North Avenue at Island Brook Avenue Ext. and travels West across the Madison and Brooklawn neighborhoods near North Bridgeport and ends at the Fairfield line. State Street begins in Downtown and cuts across the West Side, where it terminates in Fairfield. Railroad Avenue extends from just below Downtown Bridgeport and runs parallel with the Metro North/New Haven Railroad lines. The Westbound side above the tracks, and the Eastbound side below the tracks. It terminates at Fairfield Avenue in the West Side. There are two large parks in Bridgeport, the Park City. Beardsley is in the extreme northeastern part of the city and also contains Connecticut's only zoo, the Beardsley Zoo. It also borders a large reservoir. Seaside is west of the harbor entrance and along the Sound in the South End. It has statues in honor of Elias Howe, who built a large sewing-machine factory in 1863; and of P.T. Barnum, the showman, who lived in Bridgeport after 1846. He contributed much to the city, especially East Bridgeport. Seaside Park also has a soldiers' and sailors' monument. In the vicinity are many upscale residences. Aside from the Pequonnock River and the Yellow Mill Pond, there is Cedar Creek. Cedar Creek is a lake-like tidal creek that lies between Black Rock and Seaside Park. Black Rock Harbor lies at the mouth of the creek. The principal municipal buildings in Bridgeport are the city's two hospitals (St. Vincent's Medical Center and Bridgeport Hospital), the Protestant orphan asylum, the Barnum Institute (occupied by the Bridgeport Scientific and Historical Society), the Bridgeport Medical Society, City Hall, the Fairfield County Courthouse, the Barnum Museum, and the United States Customs House, which also contains a post office. Bridgeport is made up of approximately 70 distinct neighborhoods and districts. Fayerweather Island is connected to Seaside Park by a seawall and is home to the Black Rock Harbor Light. Pleasure Beach (also known as Steeplechase Island), is located in Long Island Sound, below the city's East End, and is connected by the Long Beach peninsula to Stratford, Connecticut. As of the census of 2000, there were 139,529 people, 50,307 households, and 32,749 families residing in the city. The population density was 8,720.9 people per square mile (3,367.0/km²). There were 54,367 housing units at an average density of 3,398.1 per square mile (1,312.0/km²). The racial makeup of the city was 45.0% White, 30.8% African American, 0.5% Native American, 3.3% Asian, 0.1% Pacific Islander, 14.8% from other races, and 5.6% from two or more races. Hispanic or Latino of any race were 31.8% of the population. Other ancestry groups include: Italian (8.6%), Irish (5.1%), Portuguese (2.9%), Polish (2.8%), and German (2.4%). As of the 2010 census, there were 144,229 people residing in the city. The racial makeup of the city residents was 39.6% White; 34.6% Black or African American; 3.4% Asian; and 4.3% from two or more races. A total of 38.2% of the population were Hispanic or Latino of any race. Non-Hispanic Whites were 22.7% of the population in 2010, compared to 74.6% in 1970. According to 2010 census data, the Bridgeport MSA, containing all of Fairfield County, is the most unequal region in America. Bridgeport is home to Housatonic Community College, St. Vincent's College, University of Bridgeport and the Yeshiva Gedola of Bridgeport. The Yeshiva Gedola is currently the home of the Bridgeport Community Kollel, a rabbinic fellowship program. The Bridge Academy: Bridgeport's sole Charter High School. Bridgeport is also home to private schools, including Bridgeport Hope School (K-8), Bridgeport International Academy (grades 9-12), Catholic Academies of Bridgeport (St. Augustine School (PK-8) and St. Raphael School (PK-8)), Kolbe Cathedral High School (9-12), St. Andrew School (PK-8), St. Ann Academy (PK-8), and Zion Lutheran School (PK-8). The city is governed by the mayor council system. There are twenty members of the city council elected from districts. Each district elects two members. The mayor is elected by the entire city. Bridgeport is notable for having had a Socialist mayor for 24 years; Jasper McLevy served as mayor from 1933 to 1957. A more recent mayor, Joseph Ganim, was involved in a corruption scandal, as has been the case with some other mayors in Connecticut. In June 2006, Mayor John M. Fabrizi admitted that he had used cocaine while in office. In 2005, the mill rate for Bridgeport was 42.28 and is reportedly 41.855 for fiscal year 2013-2014. Downtown Cabaret Theatre – cabaret, children's theater, concerts. Playhouse on the Green – (228 seats) theater with plays and varied musical events. Klein Memorial Auditorium – (1,400 seats) home to the Greater Bridgeport Symphony, touring shows and concerts. Webster Bank Arena – Sporting events venue, but also hosts large concerts. Bridgeport has been the annual home to Gathering of the Vibes, a weekend long arts, music and camping festival featuring some of the best names in festival talent. In 1999, 2000, and 2007 through 2010, thousands of people have come from all over the world to camp in Seaside Park and enjoy such talent as Buddy Guy, Bob Weir and Ratdog, Deep Banana Blackout, Les Claypool, Assembly of Dust, Dirty Dozen Brass Band, Los Lobos and Bridgeport's own The Alternate Routes. Since 1945, the Greater Bridgeport Symphony has been a cultural and musical gem for the City of Bridgeport and its surrounding towns, performing at the 1,400 seat Klein Memorial Auditorium. The orchestra has a rich and vibrant history. Under the direction of Gustav Meier for the past 41 years, the prestigious orchestra has welcomed international soloists Beverly Sills, Midori, Benny Goodman, Itzhak Perlman with other links to legends like Leonard Bernstein, Jose Iturbi. Through its annual Carlson-Horn Competition for Young Instrumentalist created many new bright professional soloists including Andrew Armstrong, Alexander Markov, Anita Chen, to name just a few. Bridgeport is also the home of the Black Rock Art Center, a multi-cultural center that presents performing artists from Africa, Asia, the Caribbean and the Americas both at the Art Center and also in a Summer Sounds of the World concert series. The series has featured such artists as blues musician James Cotton, Grammy-award winner Eddie Palmieri, the Cambodian Angkor Dance Company, salsa master Larry Harlow, and folk artists Richie Havens and Odetta. The Art Center features a world music series, a cabaret series, the Black Rock Blues Festival, in addition to cinema, gallery, and educational programs. Housatonic Museum of Art, located at Housatonic Community College, has the largest collection of art of any two-year college in the nation. Beardsley Zoo is the only such center in Connecticut. Bridgeport's first public park was the 4-acre (16,000 m2) Washington Park in East Bridgeport, first set aside as a park in 1851. As the city rapidly grew in population, residents recognized the need for more public parks and by 1864, Barnum and other residents had donated approximately 35 acres (142,000 m2) to create Seaside Park, now increased to 375 acres (1.518 km2). In 1878, over 100 acres (400,000 m2) of land bordering the Pequonnock River was added as Beardsley Park. Frederick Law Olmsted, famous for creating New York City's Central Park, designed both Seaside and Beardsley Parks. Over time, more parks were added including 35-acre (142,000 m2) Beechwood Park and Pleasure Beach, home to a popular amusement park for many years. The city was mentioned at the beginning of Mark Twain's novel, A Connecticut Yankee in King Arthur's Court. In Stephen King's short story "I Know What You Need," the protagonist Elizabeth and her suitor Ed first meet in elementary school in Bridgeport, where Ed's family had moved fleeing the gambling debt accumulated by his father. The city is mentioned in a scene from the 1938 Katharine Hepburn/Cary Grant film, Bringing Up Baby. The city and P.T. Barnum formed the portmanteau name of the ursine character, P.T. Bridgeport, from Walt Kelly's comic strip Pogo. The TV series Family Guy took a shot at Bridgeport in its episode Road to the North Pole. After mistaking a tall gloomy factory for Santa's workshop, Stewie said, "This can't be it... This can't be Santa's workshop, This looks like Bridgeport, Connecticut!" To which Brian replied, "Oh boy, here come the letters." The screen then portrays an enraged fan from the city with a thick New England Accent, writing a hate letter out loud as follows. "Dear 'Family Guy' Bastards, Who the hell do you think you are? I'll have you know that Bridgeport is among the world leaders in abandoned buildings, shattered glass, boarded up windows, wild dogs and gas stations without pumps..." The series' creator Seth MacFarlane is a Connecticut native from Kent. Bridgeport is an address listed on a piece of evidence in the 2011 detective video game, L.A. Noire. Bridgeport Harbor is referenced in Die Hard 3, and is where John McClane is rescued. In the musical Annie, Oliver Warbucks says that compared to New York City, everything else is Bridgeport. City in The Sims 3 Late Night expansion pack. The recently built Arena at Harbor Yard serves as the city's sports and hospitality center. Seating 10,000, the Arena serves as the home rink of the Bridgeport Sound Tigers AHL hockey team, as well as the home court of the Fairfield University's basketball team. WICC-AM 600; 1,000 watts (daytime), 500 watts (nighttime) – WICC began broadcasting on November 21,1926, when a previous radio station, WCWS, was given a new name, WICC. The last three letters standing for Industrial Capitol of Connecticut. The Bridgeport Broadcasting Company Inc. was the new station's owner. Back then, the station was powered at 500 watts. From 1951 to 1956 one of the station's radio hosts was Bob Crane, who later went on to play Col. Robert Hogan on the Hogan's Heroes television comedy series. WICC's transmitter is located on Pleasure Beach, an island located between downtown Bridgeport and Long Island Sound. WEBE-FM 107.9; 50,000 watts. WEBE108 is "Connecticut's Best Music Variety!" owned and operated by Cumulus Media. Licensed to Westport, CT, with studios and transmitter in Bridgeport. WEZN-FM 99.9; 27,500 watts (formerly WJZZ-FM). Star99.9 is "Today's Best Mix!" The station owned by Connoisseur Media. Lincensed to Bridgeport, CT, with studios in Milford and transmitter in Trumbull. Due to Bridgeport's close proximity to Long Island Sound, many radio stations from New York are received clearly day and night in the market. These include WMCA, WFAN, WOR, WABC, WNYC, WCBS, WEPN, and WQEW. Connecticut Post - Formerly the Bridgeport Post and Bridgeport Telegram. The areas main newspaper covering Bridgeport and the surrounding area. <http://www.ctpost.com>The newspaper is printed daily by The Post Publishing Company 2 blocks west of the Main Office at 410 State Street Bridgeport. WZME channel 43 now mostly broadcasts older classic TV shows. Licensed to Bridgeport with transmitter in Trumbull. Nearby Sikorsky Memorial Airport once provided regional flights to major hub cities such as Logan International Airport in Boston and Baltimore-Washington International Airport; however, service to the airport declined in the 1990s, and US Airways Express became the last airline to suspend operations at the airport in November 1999. Tweed New Haven Regional Airport is another nearby facility that provides scheduled air service. The closest international airports are Bradley International Airport in Windsor Locks, Connecticut, LaGuardia and John F. Kennedy in New York City and Newark in Newark, New Jersey. The Bridgeport Traction Company provided streetcar service in the region until 1937. The Bridgeport & Port Jefferson Ferry service runs from Bridgeport across Long Island Sound to Port Jefferson, New York; the three vessels "Grand Republic", "P.T. Barnum" and "Park City" transport both automobiles and passengers. For places on the register elsewhere in Fairfield County, see List of Registered Historic Places in Fairfield County, Connecticut. Authors: Ria Biley, author of Angel Country: Angelic Encounters: True Stories from Maine. Actors: Robert Mitchum, Tony Musante, Brian Dennehy, Michael Jai White, Bob Crane, and John Ratzenberger, actor/comedian Kevin Nealon and actor/comedian Richard Belzer, who once worked as a reporter for The Connecticut Post. Cartoonists: Al Capp, who created Li'l Abner, and Walt Kelly, who created Pogo, attended Bridgeport High Schools in the 1920s. Entertainers: P.T. Barnum, General Tom Thumb. Industrialists: George Gilman, founder of the Great Atlantic and Pacific Tea Company, Harvey Hubbell, Edwin H. Land, Nathaniel Wheeler. Military: David Hawley, naval commander and privateer during the American Revolution; Henry A. Mucci, who led the raid that rescued survivors of the Bataan Death March in World War II; Michael Stacey, who is a native of the Black Rock Community and has been serving in the U.S Army since 1989, currently a master sergeant. Musicians: The Metropolitan Opera star Mimi Benzell, pianist Samuel Sanford and composer Jin Hi Kim. Before relocating to Fairfield, Grammy Award winner John Mayer grew up in Bridgeport. Antonio Pappano, Syesha Mercado, singer Jessica Delfino, and guitarist Vinnie Vincent and drummer J.Richard Neelans are all from Bridgeport. Fanny Crosby, composer of more than 8,000 Christian hymns, lived here for the last 15 years of her life, and is buried in the Mountain Grove Cemetery. Politicians: Jasper McLevy, first Socialist mayor of a city in New England. Religious: Neal Chase, a leader of a small Bahá'í sect, the Baha'is Under the Provisions of the Covenant was born here. Edward Egan, the former Roman Catholic bishop of Bridgeport, later became the cardinal archbishop of New York. Sportsmen: NFL player Mike L. Jones; NBA players Wesley Matthews, Charles Smith, John Bagley and Chris Smith; baseball players George "Kiddo" Davis, Jim O'Rourke (first player to be credited with a hit in a professional baseball game), Rob Dibble, Charles Nagy, and Ed Wojna; lacrosse player Victor Ross. ^ a b c "Race, Hispanic or Latino, Age, and Housing Occupancy: 2010 Census Redistricting Data (Public Law 94-171) Summary File (QT-PL), Bridgeport city, Connecticut". U.S. Census Bureau, American FactFinder 2. http://factfinder2.census.gov. Retrieved August 5, 2011. ^ Emily Ross, Angus Holland (2005). One hundred great businesses and the minds behind them. Sourcebooks, Inc.. p. 388. ISBN 978-1-4022-0631-3. http://books.google.com/?id=6qSx2UrQ_H0C&pg=PA388. ^ "History Of Frisbies". http://bridgeport.ct.schoolwebpages.com/education/components/scrapbook/default.php?sectiondetailid=26565. Retrieved November 28, 2007. ^ Waldo, v1 1917, pp. 14—16. ^ a b "Bridgeport, Conn.". The Encyclopedia Americana: a library of universal knowledge. 4. New York: Encyclopedia Americana Corp.. 1918. pp. 527. http://books.google.com/books?id=CGIMAAAAYAAJ&pg=PA527. Retrieved July 29, 2010. ^ Orcutt, v1 1886, p. 609. ^ Orcutt, v1 1886, pp. 470—474. ^ Waldo, v1 1917, pp. 37—38. ^ Orcutt, v1 1886, pp. 608—609. ^ Waldo, v1 1917, pp. 222—225. ^ Strother, French (January 1916). "America, A New World Arsenal". The World's Work: A History of Our Time XXXI: 321–333. Retrieved on August 4, 2009. 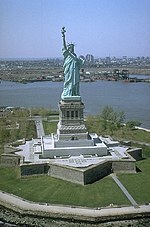 ^ "National Historic Places Nomination" (PDF). Black Rock. 1978. p. 11. http://pdfhost.focus.nps.gov/docs/NRHP/Text/79002658.pdf. Retrieved July 28, 2010. ^ Fred Lucas (April 6, 2006). "Bush visits Bridgeport". News Times (Danbury). http://www.newstimes.com/default/article/Bush-visits-Bridgeport-98971.php. Retrieved July 30, 2010. ^ "Martin Luther King in Bridgeport?". Bridgeport Public Library. http://www.hiddenhistoryofbridgeport.com/2009/01/martin-luther-king-in-bridgeport.html. Retrieved July 30, 2010. ^ Philip Sheldon Foner (1982). History of the Labor Movement in the United States: 1915–1916, on the Eve of America's Entrance into World War I, Vol. 6. International Publishers Company, Incorporated. p. 196. ISBN 978-0-7178-0595-2. http://books.google.com/?id=ixcYmW_jR8kC&pg=196&lpg=196&q. "[A] ten-hour center like Bridgeport was converted overnight into an eight-hour community, a result that ten years of agitation under normal conditions might not have accomplished." ^ "Bridgeport Working: Voices from the 20th Century". Bridgeport Public Library. http://www.bridgeporthistory.org/. Retrieved July 28, 2010. ^ Matthew L. Wald (September 5, 1982). "THE Workplace in Transition". New York Times (US). http://www.nytimes.com/1982/09/05/nyregion/the-workplace-in-transition.html. Retrieved July 28, 2010. ^ Andi Rierden (February 25, 1990). "Bridgeport is Fighting Its 'Dump City' Image". New York Times. http://www.nytimes.com/1990/02/25/nyregion/bridgeport-is-fighting-its-dump-city-image.html?pagewanted=1. Retrieved August 1, 2010. ^ Musante, Fred (February 1, 1998). "Teachers' Strike Stirs Bitter Memories". The New York Times. http://query.nytimes.com/gst/fullpage.html?res=9505E4D6173AF932A35751C0A96E958260&sec=&spon=&pagewanted=print. Retrieved April 26, 2010. ^ George Judson (August 2, 1991). "U.S. Judge Blocks Bridgeport From Bankruptcy Court". New York Times. http://www.nytimes.com/1991/08/02/nyregion/us-judge-blocks-bridgeport-from-bankruptcy-court.html?scp=212&sq=&st=nyt&pagewanted=1. Retrieved July 17, 2010. "The case attracted national attention as Bridgeport portrayed itself as a city abandoned by industry, left to bear alone the poverty and social problems of Fairfield County that its suburbs turned their backs on." ^ Lisa Prevost (April 10, 2009). "Revival in Progress; Stay Tuned". New York Times. http://www.nytimes.com/2009/04/12/realestate/12zone.html?ref=commercial. Retrieved August 5, 2010. ^ Bill Cummings (August 31, 2009). "Bridgeport council approves development plan". News Times (Danbury). http://www.newstimes.com/news/article/Bridgeport-council-approves-development-plan-1127.php. Retrieved August 5, 2010. ^ Keila Torres (February 14, 2010). "Agencies partner for housing/medical complex in Bridgeport". News Times (Danbury). http://www.newstimes.com/local/article/Agencies-partner-for-housing-medical-complex-in-364841.php. Retrieved August 5, 2010. ^ "NowData - NOAA Online Weather Data". National Oceanic and Atmospheric Administration. http://www.nws.noaa.gov/climate/xmacis.php?wfo=okx. Retrieved 2011-12-28. ^ U.S. Census Bureau. Accessed January 23, 2008. ^ "Table 3. Annual Estimates of the Resident Population for Incorporated Places in Connecticut: April 1, 2010 to July 1, 2011" (CSV). http://www.census.gov/popest/data/cities/totals/2011/tables/SUB-EST2011-03-09.csv. Retrieved December 28, 2012. ^ a b "Bridgeport (city), Connecticut". State & County QuickFacts. U.S. Census Bureau. http://quickfacts.census.gov/qfd/states/09/0908000.html. Retrieved May 13, 2012. ^ "Connecticut - Race and Hispanic Origin for Selected Cities and Other Places: Earliest Census to 1990". U.S. Census Bureau. http://www.census.gov/population/www/documentation/twps0076/twps0076.html. Retrieved May 13, 2012. ^ Zumbrun, Joshua (November 30, 2009). "America's Most Unequal Cities". Forbes. http://www.forbes.com/2009/11/30/americas-most-unequal-cities-business-beltway-unequal-cities.html. ^ Everton Bailey Jr. (June 18, 2010). "Hartford Mayor Eddie Perez convicted of corruption". Associated Press. Christian Science Monitor. http://www.csmonitor.com/From-the-news-wires/2010/0618/Hartford-Mayor-Eddie-Perez-convicted-of-corruption. Retrieved August 15, 2010. "Corruption investigations have brought down several prominent Connecticut politicians within the past decade.... Bridgeport Mayor Joseph Ganim was convicted of corruption in 2003, sentenced to nine years in prison and released to a halfway house in Hartford in January. Former Waterbury Mayor Philip Giordano is serving a 37-year prison sentence for sexually abusing two girls, crimes that came to light during a federal corruption investigation." ^ Michael J. Daly (June 15, 2008). "Fabrizi's story still intrigues". Connecticut Post. http://www.ctpost.com/news/article/Fabrizi-s-story-still-intrigues-219989.php. Retrieved August 15, 2010. ^ Connecticut Mill Rates. Courant.com. Retrieved on 2013-08-02. ^ How your taxes are determined - City of Bridgeport, CT. Bridgeportct.gov. Retrieved on 2013-08-02. ^ a b Patricia Harris and David Lyon (February 6, 2008). "On a comeback: After some down times, city find itself on the verge of a renaissance". Boston Globe. http://www.boston.com/travel/explorene/connecticut/articles/2008/02/06/on_a_comeback/. Retrieved August 5, 2010. ^ Waldo, v1 1917, p. 277. ^ Jeff Holtz (August 18, 2002). "The View From/Bridgeport; Historic Seaside Park Recaptures Its Appeal". New York Times. http://www.nytimes.com/2002/08/18/nyregion/the-view-from-bridgeport-historic-seaside-park-recaptures-its-appeal.html?scp=2&sq=historic%20seaside%20park%20recaptures%20its%20appeal&st=cse. Retrieved August 1, 2010. ^ Waldo, v1 1917, p. 280. ^ F.L. & J.C. Olmsted (1884). Beardsley Park: Landscape Architects' Preliminary Report. Privately Printed (Boston). pp. 4–7. http://books.google.com/?id=reoCAAAAYAAJ&printsec=frontcover&pg=PA4&q. ^ Stephen King (1978). Night shift. Doubleday. pp. 255–256. ISBN 978-0-385-12991-6. http://books.google.com/?id=YTDDiSUsD-EC&pg=PA255&q. "'P.S. 119, Bridgeport, Connecticut' .... 'Ed Hamner, Sr., was a compulsive gambler. He worked for a top-line advertising agency in New York and then moved to Bridgeport sort of on the run.'" ^ A. J. Sobczak, Janet Alice Long, and Frank Northen Magill (1998). Cyclopedia of Literary Characters, Volume 1. Salem Press. p. 190. ISBN 978-0-89356-438-4. http://books.google.com/?id=IJMYAAAAIAAJ. "Joseph Wykowski. a recruit of Polish background from Bridgeport, Connecticut..."
^ REO SPEEDWAGON - 157 RIVERSIDE AVENUE LYRICS. Songlyrics.com. Retrieved on 2013-07-15. ^ Fred Allen quotes. Thinkexist.com. Retrieved on 2013-07-15. ^ Mayor Bill Finch laughs off Family Guy's shot at Bridgeport - Connecticut Post. Ctpost.com (2010-12-13). Retrieved on 2013-07-15. ^ Catlin, Roger. (2010-12-13) 'Family Guy' vs. Bridgeport - Roger Catlin | TV Eye. Blogs.courant.com. Retrieved on 2013-07-15. Samuel Orcutt (1886). A History of the Old Town of Stratford and City of Bridgeport Connecticut, Volume 1. Fairfield County Historical Society. http://www.archive.org/stream/historyofoldtown01orcu#page/n5/mode/2up. Samuel Orcutt (1886). A History of the Old Town of Stratford and City of Bridgeport Connecticut, Volume 2. Fairfield County Historical Society. http://www.archive.org/stream/ahistoryoldtown01conngoog#page/n5/mode/2up. John Nolen (1916). Better City Planning For Bridgeport. Bridgeport: City Plan Commission. http://books.google.com/?id=s9sAAAAAYAAJ&printsec=frontcover. George Curtis Waldo (1917). History of Bridgeport and Vicinity, Volume 1. S. J. Clarke. ISBN 978-1-144-35927-8. http://www.archive.org/stream/historyofbridgep01wald#page/n7/mode/2up. George Curtis Waldo (1917). History of Bridgeport and Vicinity, Volume 2. S. J. Clarke. http://www.archive.org/stream/historyofbridgep02wald#page/n7/mode/2up. Mary K. Witkowski (2002). Bridgeport at Work. Arcadia Publishing. ISBN 978-0-7385-1123-8. http://books.google.com/?id=REmTWXZ2WdMC&printsec=frontcover&q. Cecelia Bucki (2001). Bridgeport's socialist New Deal, 1915–36. University of Illinois Press. ISBN 978-0-252-02687-4. http://books.google.com/?id=5sqULah9Jj0C&printsec=frontcover&q. Wikisource has the text of the 1911 Encyclopædia Britannica article Bridgeport. This page uses content from the English language Wikipedia. The original content was at Bridgeport, Connecticut. The list of authors can be seen in the page history. As with this Familypedia wiki, the content of Wikipedia is available under the Creative Commons License.